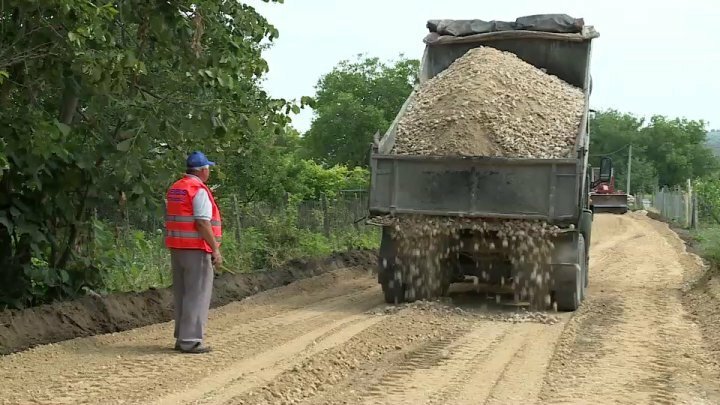 The ȘOR party continues to implement modernization projects for Jora de Mijloc. After last week, the people in Lopatna village were glad to have street lighting, now the road repair has begun. The first street to be rehabilitated leads to the local kindergarten. The new mayor would like more convenience for parents and children who were taking care of themselves when they came to their kindergarten. Mayor of the commune, Marina Tauber, assured the inhabitants of Lopatna village that the works will be carried out at the highest level. "This road modernization and reconstruction project is part of my public engagement that I signed during the election campaign. I can tell you that I started from Lopatna village because the village was always forgotten by the former administration of the commune, "said the mayor of Jora de Mijloc, Marina Tauber. The locals say they are very happy about what's happening in the village with the change of local government. "This is a great joy for us to repair the road. At least our grandchildren will go without a bluff. " The road that has a length of 2 kilometers has never been paved. The reconstruction works will end on 20 July.